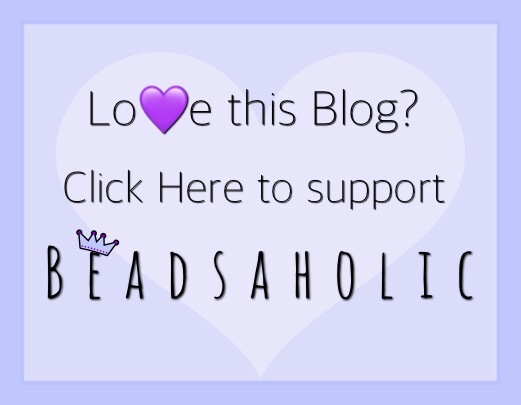 Today Beadsaholic brings the news of Ohm Beads latest bead of the month Stardust! Definition of Stardust: a feeling or impression of romance, magic or ethereality. When I think of stardust I think of sparkle, glitz, a clear night where there seems to be a million stars twinkling in the sky. Ohm Beads Stardust reminds of me of just that. The back side of Ohm Stardust has a beautiful swirly magical design. Most think of hearts when they think of romance I think of the moon and stars, there is nothing more romantic. All photographs courtesy of Ohm Beads. Over all, I think this is a wonderful bead and can’t wait to see it in person. Plus, Navy is this seasons color and for myself I tend to use Navy in celestial combos, Stardust would be the perfect focal for a celestial themed bracelet. I am excited about this release as you will see in the next article Ohm is also releasing a limited-edition Night Sky glass, which will complement Stardust perfectly. Both beads are must haves for anyone with a nocturnal soul. If you must have this bead you may preorder today; however, this bead will not ship until release date on December 1st, 2017. Preorders are available at participating retailers and I have provided a few links below. 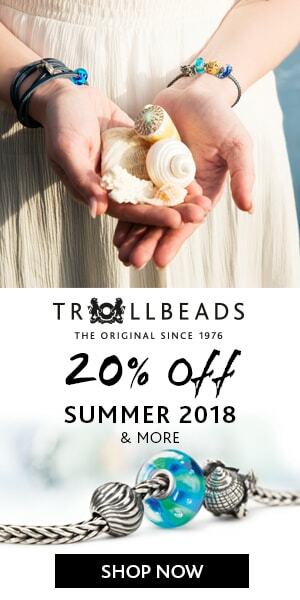 Ohm Beads USA will have a few available on their website on release day, you may browse their website by clicking the banner below (affiliate link). As always, I love hearing your thoughts. What do you think of Ohm Beads Stardust? Is this a must have for you?